White Paper — How Can Reuse Give You an Advantage in Industrial Products? Cutting costs and reducing the number of parts in a product is one of the most important aspects of industrial competitiveness. But apart from these strategies, another powerful cost-cutting measure is the reuse of parts across multiple design projects. A company can reuse parts in CAD, on the manufacturing floor or all the way down the PLM chain to after-sales service, models, parts and tools. 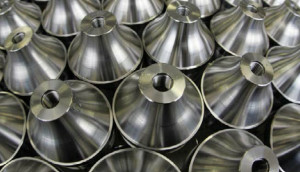 Reuse can cut costs by standardizing products and operations, and reducing tooling overhead. In this 14-page white paper, you'll learn how experts from companies such as Ingersoll Machine Tools and Volvo Buses employ reuse strategies for a wide variety of industrial processes. They are able to maximize revenue and create products that are cheaper to produce, and better engineered. Your download has been sponsored by Dassault Systèmes.